Excuse my not so great pictures - I finally had a proper light tent arrive in the mail this week and I'm not totally happy with my light placement and camera settings just yet but I had to snap these and get out fast as there was a MASSIVE spider in my nail room! 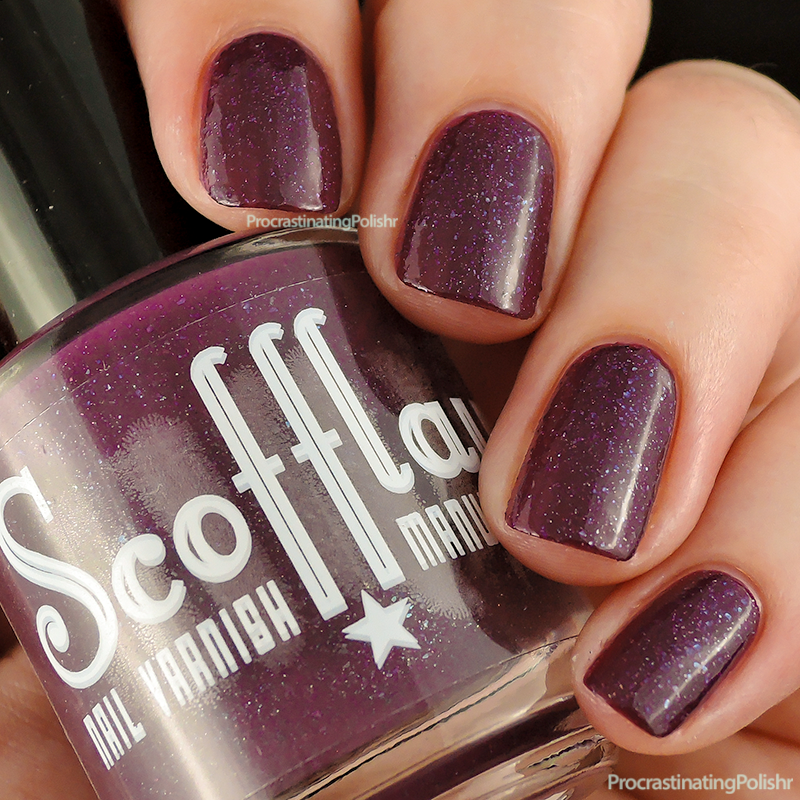 Here's what I started with - three thin coats of Rain Dogs from Scofflaw. This was a limited edition shade from early this year and it's utterly gorgeous. I added some gradient stamping with Hit the Bottle Call a Plumber and Emily de Molly White using a bubbly image from MoYou Holy Shapes 09. To get the gradient I simply put a blob of each colour side by side on the image and scraped a few times slightly shifting the scraper up or down each time to blend the colour. It's surprisingly easy once you get the hang of it! Hope you're having a wonderful weekend wherever you are, don't forget to check out both the Hobby Polish Bloggers and Stamping Saturday linkups below! Paint All The Nails Presents: Dry Brush!